MultiTAP™ from Emuge is the industry’s first high performance tap designed to cut a wide range of materials including carbon steel, steel alloys, stainless steel, aluminum, cast iron, copper, brass, and bronze. MultiTAP™ is also uniquely designed to produce threads within both 2B and 3B classes of fit, eliminating the guesswork of calculating H-limits. The staff at Modern Applications News would like to wish you and your family a Merry Christmas, Happy Hanukkah, and Happy New Year! As we look back on 2012, we are encouraged to report that manufacturing has been at the forefront of a slowly improving economy. With an inspiring IMTS still fresh in our minds, we can hope for even brighter days ahead. But first, we wanted to take one final look back at some of the more interesting happenings in the past year. For this "Best of 2012" issue, we have compiled two "Top 12 in '12" lists -- the Most Interesting Features and Most Interesting New Products, as judged by our readers. We hope you enjoy these stories and catch some helpful information you may have missed the first time around. We want to thank you for your loyalty to our publication and again, we'd like to wish you a successful and prosperous 2013! Download the complimentary eBook now! 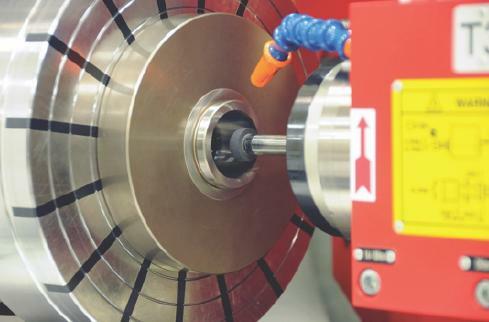 Vertical corkscrew milling thick steel from the solid may seem like a radical idea, but R&R Machine has used it to cut holemaking times from days to hours. When it comes to manufacturing aircraft parts, PDQ lives up to its name, thanks to Eurotech's 6 axis mill/turn machines. Researchers have discovered a material that you probably hold in your hand every day could be a solution to preventing corrosion on metal. Early tests show corrosion resistance 100 times better than untreated metal. Precision Waterjet Concepts prides itself on its environmentally sustainable business practices, even heating its building with hot water generated by its waterjet systems. 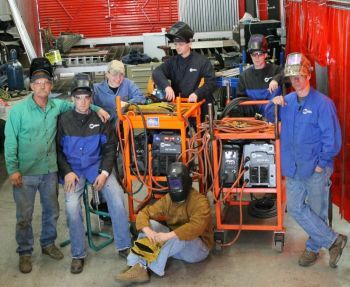 Grinders' flexibility also allows Minnesota Grinding to accept a wide variety of jobs across many industries. "If it uses grit and takes off material, we’re probably in it," says operations manager Harlen Gibbs. A system for the handheld device enables it to precisely follow a digital plan with minimal guidance from a user. Family-run shop credits a long term partnership with a CNC software developer as one of the main reasons for its more than 40 years of continuing success. Recent grants help fund a program that is training veterans to meet America's manufacturing needs. "I refuse to get to the point where we must ask China to build our warships," says the program founder. New Ultra Precision Saw Arbors Offer Run-Out Less Than .0001"